﻿ Financing | Bergstrom Aircraft Inc. There is multiple ways to take care of your flight training financing. Some of your options are to put money down, pay as you go, take out a personal loan, or get a flight training specific loan like Pilot Financing. AOPA’s Flexible Aviation Loan removes the cost barrier so more students can start and complete their training. Private pilot’s license for as little as $100-$200 a month for 84 months*. Students can borrow as as they need or as much as $100,000. 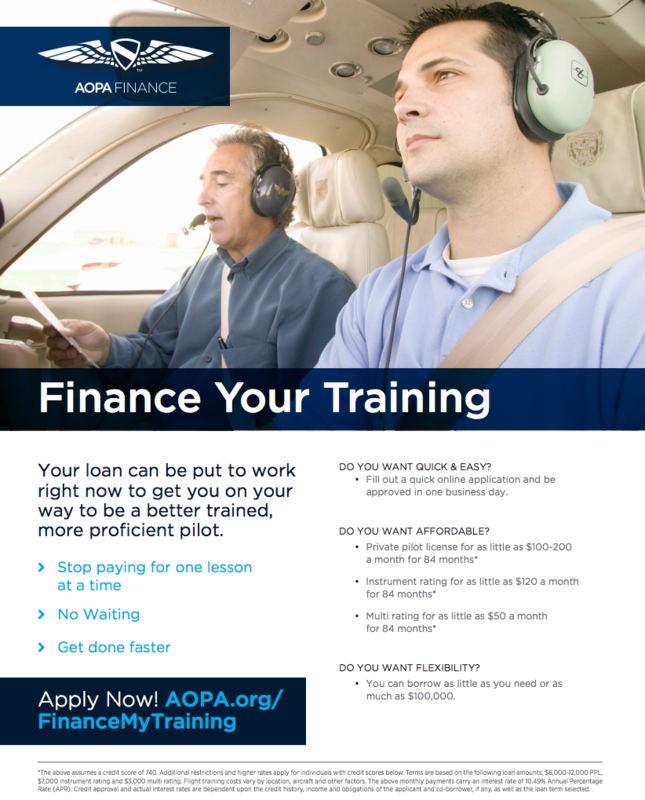 Click here to download the official brochure from AOPA Finance, or learn more at http://www.aopa.org/financemytraining!